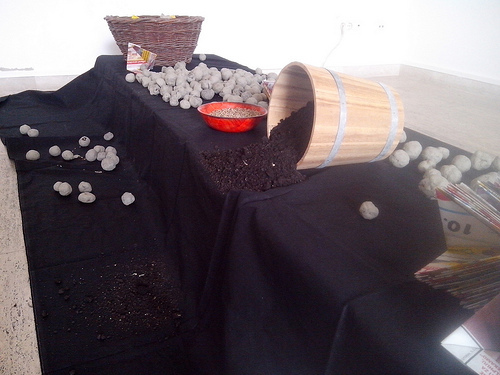 Seed bombs (originally named seed balls) were an ancient way to sow crops in dense vegetation or in land that is difficult to reach using crop seeds, clay and soil/compost formed into small balls. They were reintroduced within the last century by the Japanese organic farmer and philosopher Masanobu Fukuoka. Since then they have been vastly used as a tool for guerilla gardening all over the world. The aim of guerrilla gardening is forestation, re-vegetation of desertified lands, gardening in appartments and skyscrapers in order to rapidly seed restricted or private areas and convert asphaltic, concrete or desertified areas in natural, green spaces. It's a method that activists use to point out our influence on nature and to tackle the excessive environmental pollution that is the result of human consumeristic-industrialistic way of life. 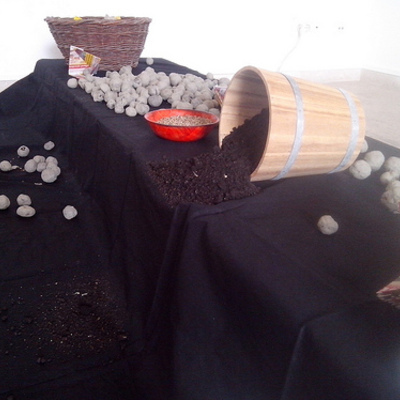 Our seed bombs will be made of hemp seeds, clay and soil. We use hemp seeds because of the plants controversial role in contemporary society where it is still considered as an illicit drug on one hand and as a valuable and healing plant on the other. Fact is that hemp plants clean the polluted soil while they grow. The roots can be 140 cm deep and regenerate the soil by absorbing toxic elements from it. In an one hour workshop the participants will learn about guerrilla gardening and gather skills on effective ways of re-vegetation of desertified lands. Additionally they will learn about the hemp plant, its uses in agriculture, medicine and industry on one hand and about policy regarding hemp on the other. Remember: making seed bombs is not an exact science. There are no special skills required - anyone can do it and it's fun to do! The workshop will be organized on Tuesday 14th May, at 6 pm at Youth Centre Happi's Värkkäämö space.